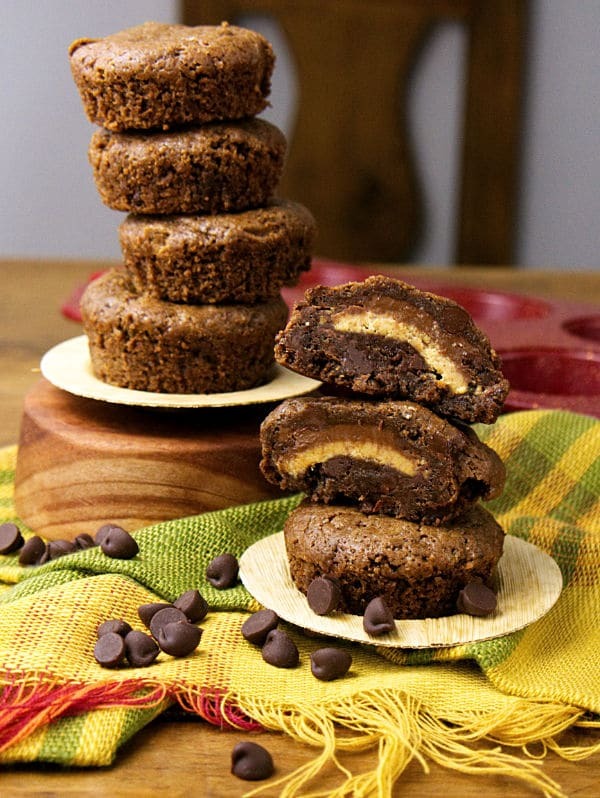 These Peanut Butter Cup Chocolate Cookies are like two desserts in one! 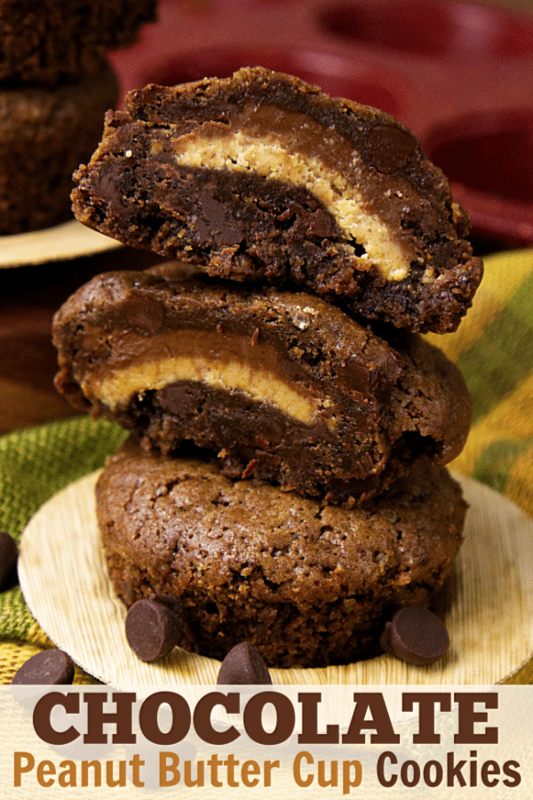 You get an amazing chocolate cookie PLUS a yummy peanut butter cup. 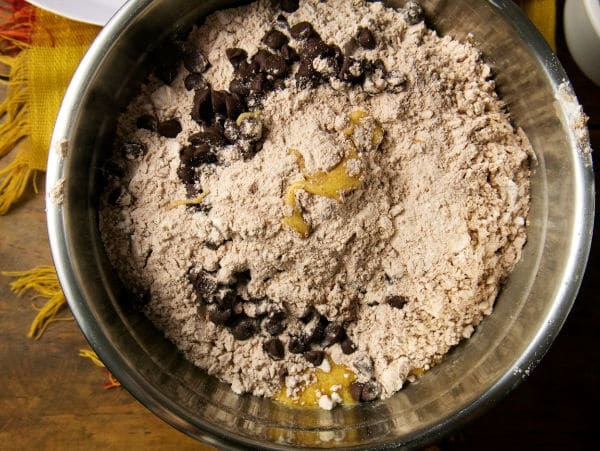 Last week as I was visiting some of my favorite blogs, I saw this recipe for chocolate chip cookies with an Oreo cookie hidden in the middle. Of course, I pinned it immediately and vowed to surprise my kids with them (perhaps as a Valentine’s Day treat) and then my mind started wandering to all the other surprises I could bake into the center of a cookie. After four practice batches, which earned my children’s eternal support of my blogging career since they got to eat all of the failures (I will share the story of those failures in another post that will be filed under “entertainment”), I finally had a recipe that was worthy of sharing. Special note: I ended up baking them in a muffin tin rather than on a cookie sheet to keep them from spreading out into pancake-sized cookies (though my kids were big fans of that particular version). I hope you enjoy these peanut butter cup chocolate cookies as much as we did. My kids are also rooting for your support since if encouraged, I might continue my kitchen experiments which result in a lot of extra goodies for them. To make these peanut butter cup chocolate cookies, you’ll need all the ingredients you’d typically need for double chocolate chip cookies, plus some full-sized peanut butter cups. 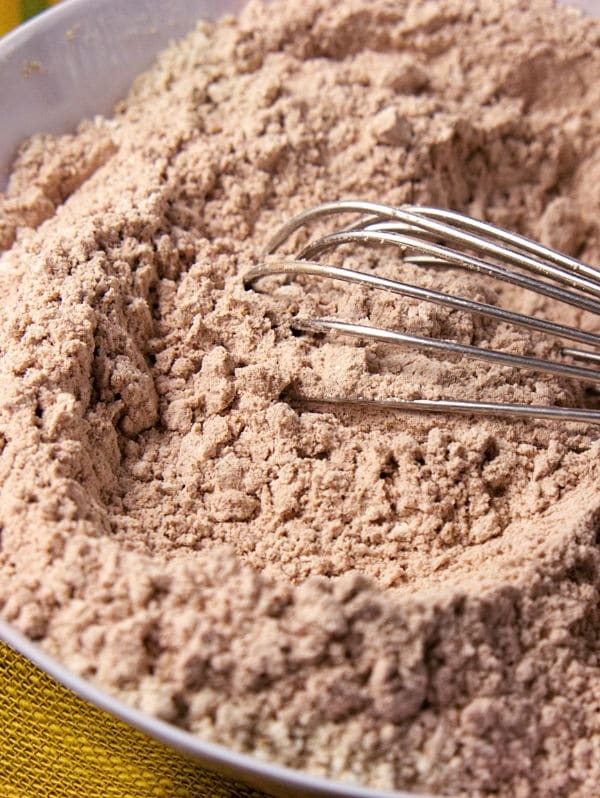 To begin, add flour, baking soda, salt, and cocoa powder to a medium bowl. Whisk together with a fork to combine. Next, beat together the sugars and butter. 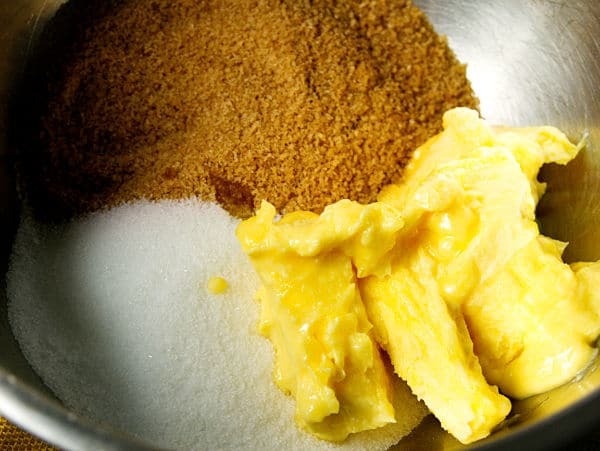 Once they are well combined, add eggs and vanilla extract. 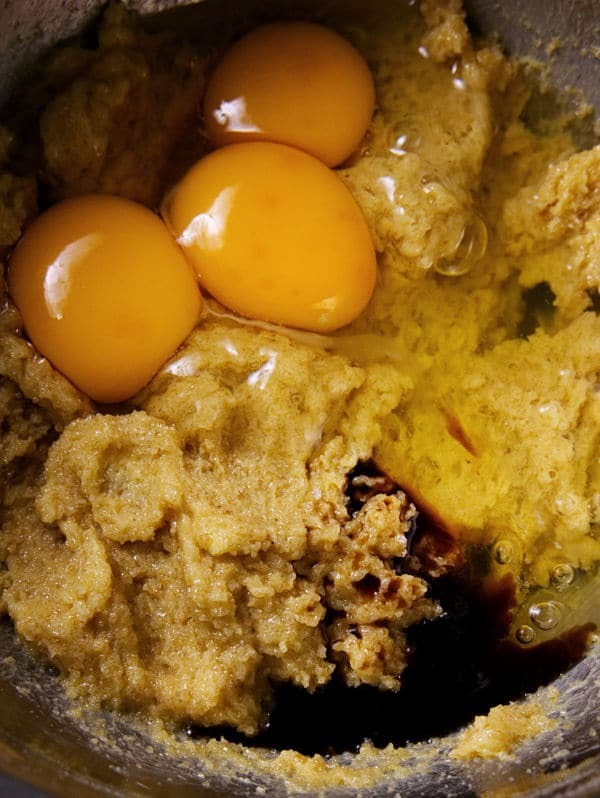 Add the flour and some chocolate chips to the butter and egg mixture. Stir or mix on low to combine. Be careful not to over mix. 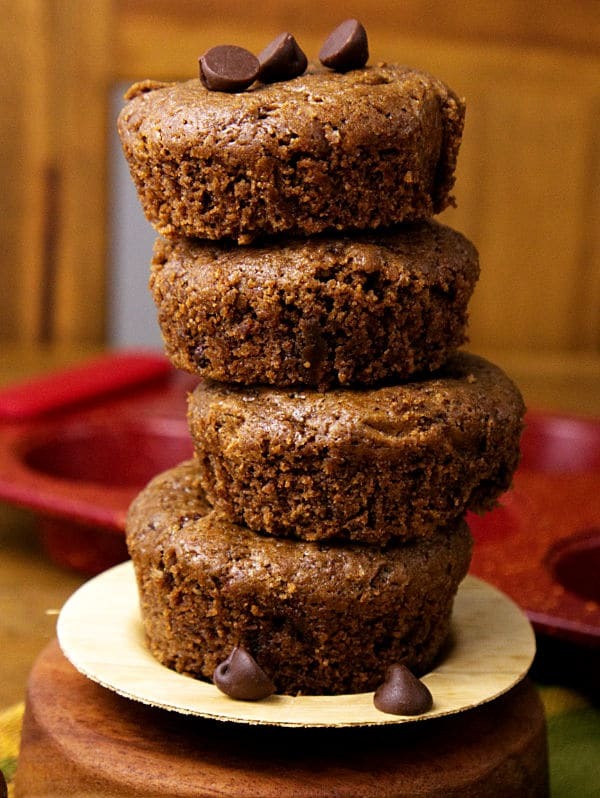 Add one tablespoon of dough to each cup in a muffin pan. Then, set a peanut butter cup on top of the dough and push it down into the dough. Top each peanut butter cup with more cookie dough. Let them cool in the muffin pan for just a minute or two, then transfer them to a cooling rack to cool completely. If you run a butter knife around the edge of each cookie, you should be able to release them easily from the muffin pan. 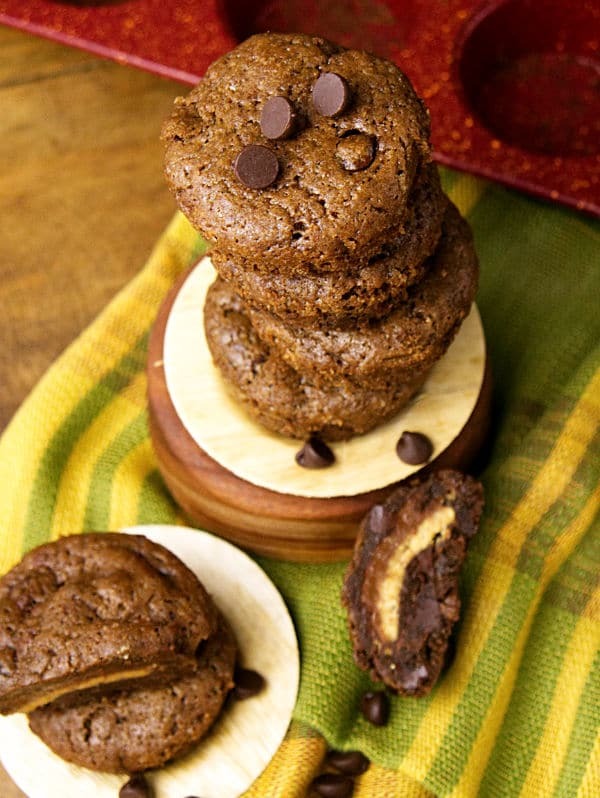 Your peanut butter cup chocolate cookies are ready to serve! Here’s the recipe card with exact measurements and full instructions for these Peanut Butter Cup Chocolate Cookies. 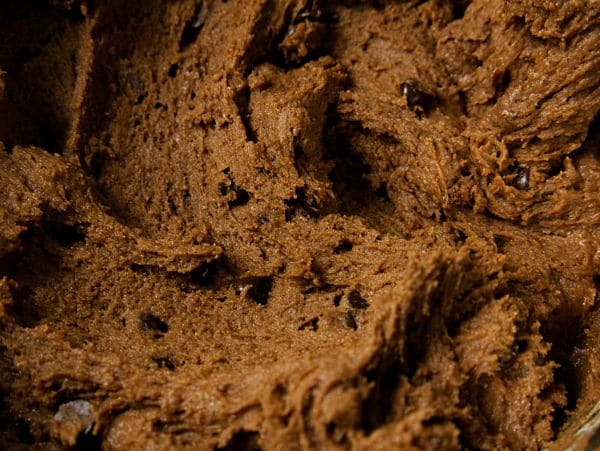 In a medium bowl, combine flour, baking soda, salt, and cocoa powder. Mix well with a whisk or fork and set aside. In a large bowl, beat sugars and butter until well blended. Add eggs and vanilla and beat until light and fluffy. Add the flour mixture and chocolate chips. Mix on low just until combined. Do not overmix. 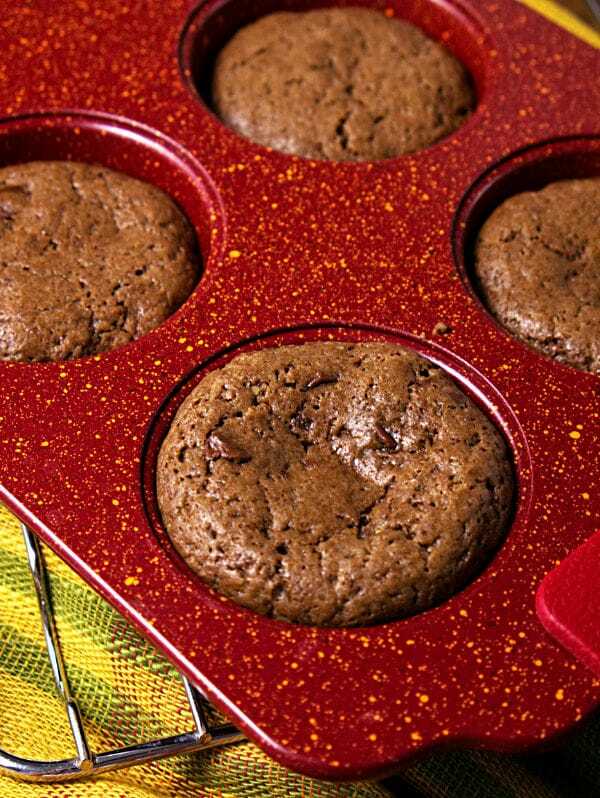 Add 1 tablespoon of dough to each cup in a muffin tin. 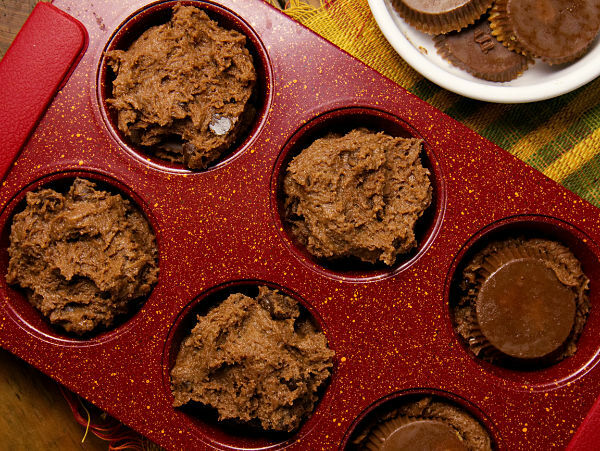 Place one peanut butter cup in each muffin cup, pushing down cookie dough. 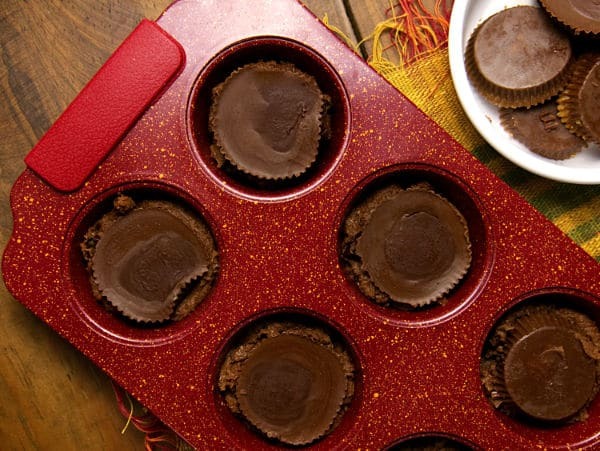 Top each peanut butter cup with an additional tablespoon of dough. Bake for 16-18 minutes. 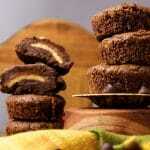 Let cool for 1-2 minutes in muffin tin, then gently run a butter knife along the edge of each cookie to loosen. Remove to cooling rack. These are going to be popular in my house! Thank you for linking up at Tasty Tuesdays! Your post has been pinned to my Recipes from Tasty Tuesday board. I can’t wait to see what you link up next week! 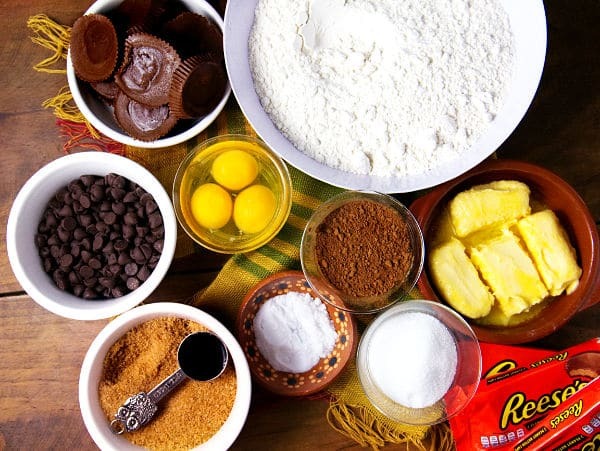 Cathy, thanks for pinning my peanut butter cup chocolate cookie recipe! I love the Tasty Tuesday linkup. See you next week. These make me want to break my diet! These look delicious!!! Guess what I’m making this weekend? I’m sure your kids are suggesting more practice cookie recipes. Looking forward to the next creation. Now I am really craving cookies and it is not even lunch time yet! These cookies would be an instant hit in my house! Love the peanut butter cup in the center!